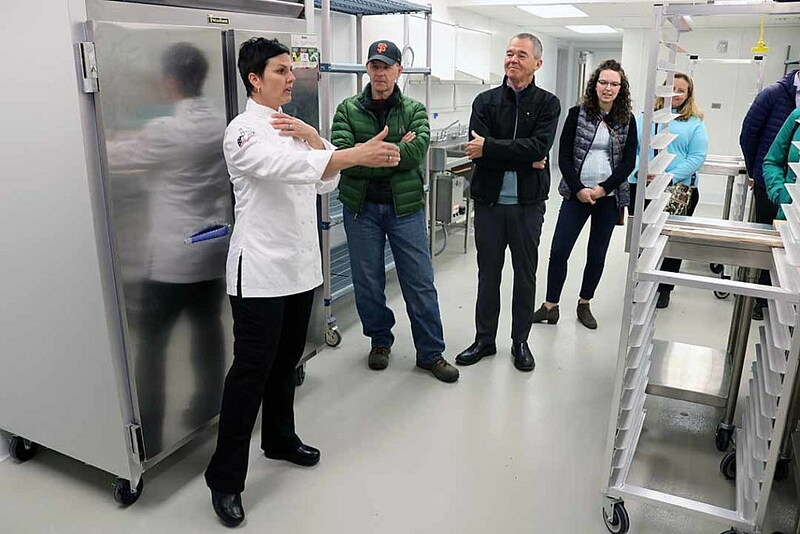 More than a dozen area employers joined the local job service for a tour of Missoula College on Wednesday, lending a close eye to the facility’s new offerings in culinary arts and the health professions. 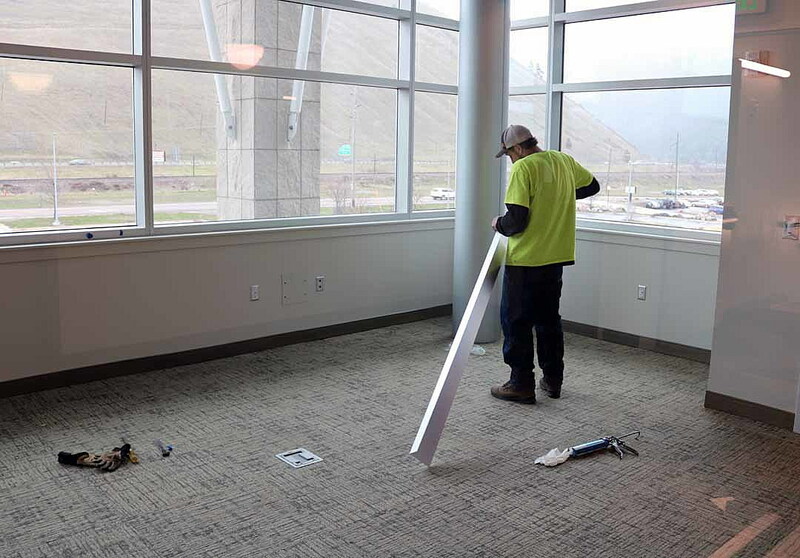 As crews assembled furniture and finished trim work around the building, representatives of several area businesses, from Territorial Landworks to LC Staffing, joined the Missoula Job Service and outreach staff with the college to see what the $32 million facility has to offer as it gears up to turn out employees. 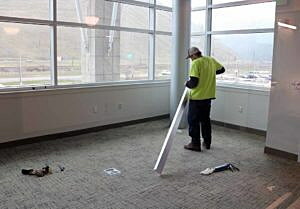 Now several years in planning, the new Missoula College is nearing completion at its East Broadway location. The four-story building comes complete with science labs, light-filled classrooms and a high-tech kitchen equipped with the newest in culinary equipment. That has Jennifer Heggen, a Missoula College graduate who now heads marketing and development for the culinary arts program, more than excited. More than triple the size of the old facility, the kitchen includes a dough splitter, quart mixers and a flash freezer. A $200,000 gift from the Rapier Family Foundation in January equipped the culinary program with the finest kitchen in the state. Heggen, who serves as a spokesperson for Sleep City, said baking is her primary passion. But the utensils are more than toys, and come July they’ll turn out specialized chefs to serve in the state’s leading industry, that being tourism. The newfangled kitchen will also lead to new degree opportunities, from pastries to hospitality management. The same may be true for the school’s other technology improvements and modern classrooms. With the countdown under way for the facility’s grand opening, employers toured the building as part of the Job Service Employment Council. An employment seminar is scheduled for April 13, and Wednesday’s tour offered those looking for workers a sneak peek behind the scenes before the seminar takes place. The college will begin moving into the new facility in May and the school plans to open on July 1.